I hope you guys do a post detailing the current and future Vulkan in reguards to these updates, along with the AMD's Polaris and Nvidia's 1080 release line and how that impacts game development vs DirectX. Mostly as a followup to the original post on this thread. Personally i'm interested in the AMD side, especially with their new 200€ RX480 card which seems incredibly appealing. I've seen polls and people mentioning how they will very likely skip nvidia's 1080 and simply go for that (namely linustechtips' polls). Would that card be a good baseline for the game along with Vulkan? At what point can you guys decide on a definitive translation of the game fully into Vulkar/DX12, assuming these upcoming HLSL changes are forwarded and improved? We will absolutely post an update once we get to it. Unfortunately it's currently not looking like we'll get to D3D12/Vulkan anytime this year due to all of the different game systems we still need to build to ship I:B. Fair enough. Lets cross that bridge when it's built. Vulkan-hpp (Vulkan C++ API) was released. I don't know what languages you are using to build the game, but if it is C++, you'll probably gain some time by using it (instead of using the C API). This is a thing now, how important/relevant would this be? Few months of development relevant, let it lie. 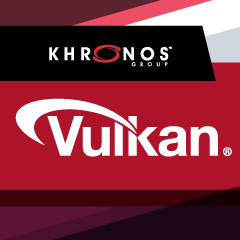 I've personally been rather disappointed with Vulkan over the last few months. The API has some great features but the validation layer, shading language, and shader compiler are complete crap. Is any of this relevant? I understand it will hardly change the game develompment but it was always interesting to see your insights into what this means or could mean. PS: Sorry for necro (not sorry). The only thing that really matters atm is for them to unfuck their shader compiler ecosystem - everything else is just noise. Oh, alright. I would’ve thought that would be one of the things they would address as i would also guess that most devs would agree with you. Odd. Thank you.